If you are very familiar with Samsung then you know the company doesn't mention which of its devices are going to be updated to a new major Android version but it always tries to give at least one year of major update or 2 years for the flagships. 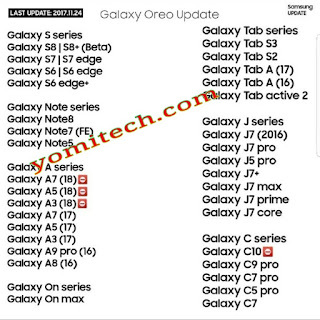 A list has just surfaced on China's Weibo social network and it contains the full names of Samsung phones that will supposedly receive the android 8.0 Oreo update. The list was actually leaked by a well-known Samsung analyst and leaker (ice universe). 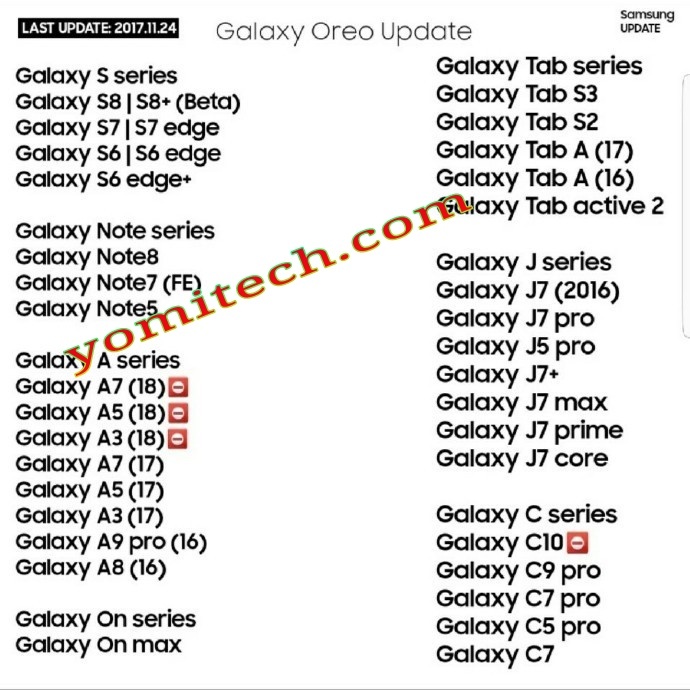 Going by the list, all Samsung galaxy S6 variants which includes the Galaxy S6, S6 edge and S6 edge+ will receive the upcoming Oreo update. Most of Samsung's 2017 A series smartphones and also many Samsung tablets will receive the update too. Although there is no official date or timetable for Samsung's Oreo update yet but we expect it to start rolling out by first quarter of 2017.